I wanted to create a project that taps into the voice of Mother Earth, and lets the tragedies of Earth be known, since it does not have a voice of its own. The challenge was to making sure the project allowed our planet to let us know we are hurting it. 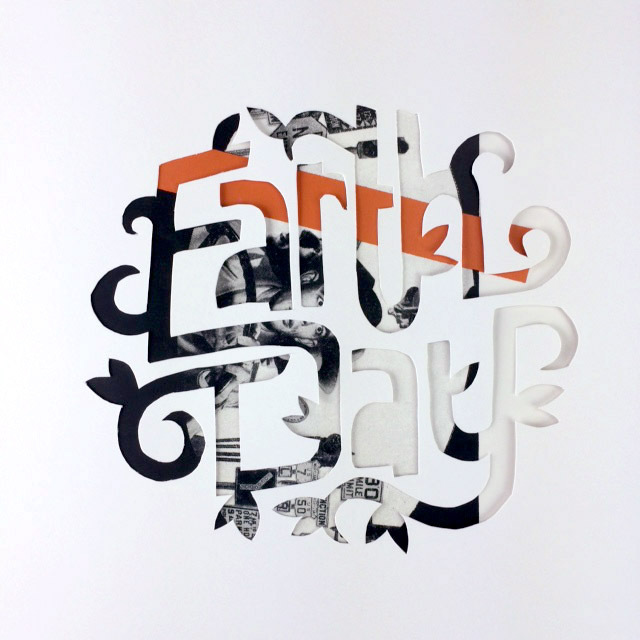 The rebranding of Earth Day begins with a new organic and adaptive logo that can take on the color and properties of any piece of nature it is placed on. It is a logo that sees through to the earth, and can be reused and recycled and can be adapted to match any application. 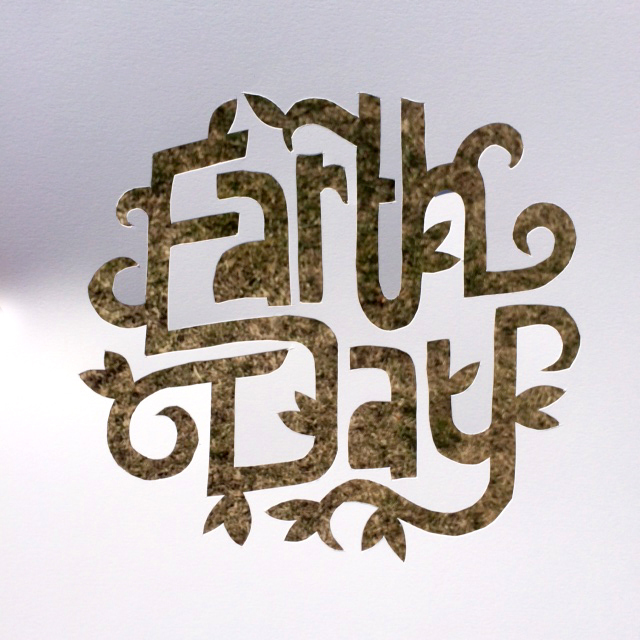 A stencil of the logo was created to be used in a social media campaign, where it can be placed in front of any depiction of Earth the user wants, good or bad, and take on its look; these images can be shared through Twitter and Instagram to raise awareness and show support using #EarthDay2015. Below are some examples of the stencil in action, used against earth and found objects to display its durability. At the heart of this project is "Mother," a typeface I created by stenciling, setting, and photographing each letter of the alphabet individually using Home Depot's finest top soil. 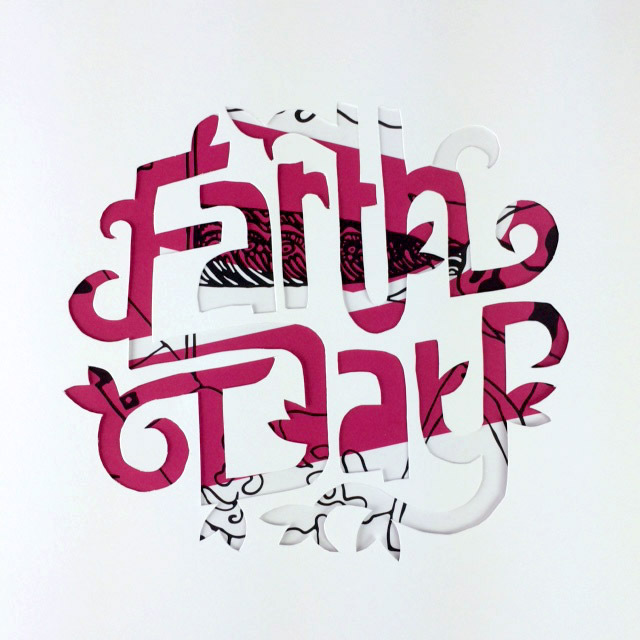 The set of dirt letters allows Mother Nature to speak in her purest form as it comes right from the Earth itself. 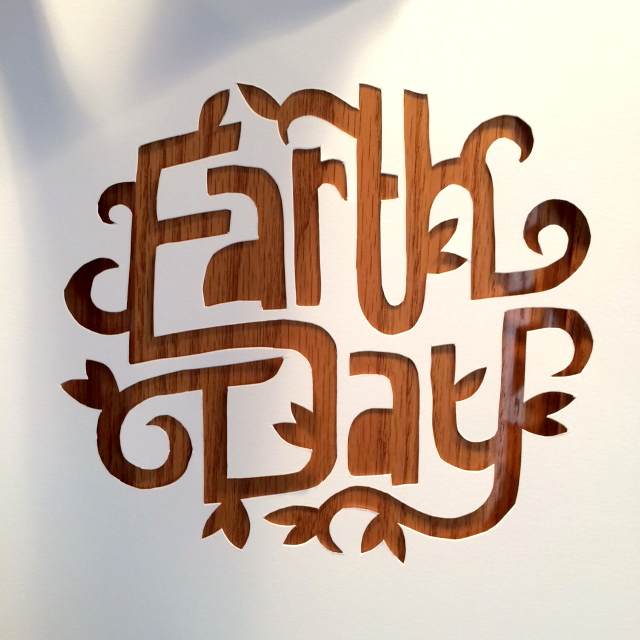 It was only fitting that these letters were created from nature in order to speak nature's mind. And as an added bonus, the soil used was organic; it was not treated with pesticides and was harvested by non-industrial means. I selected two of the posters to take out into the wild for a photo shoot in their natural environment. There was an ironic juxtaposition of such terrible phrases and facts set against the beauty of one of my local parks in the beginnings of the spring season. Finally, The project comes back to the us, the humans that started this, the people that can make the changes and stop the destruction of Earth. 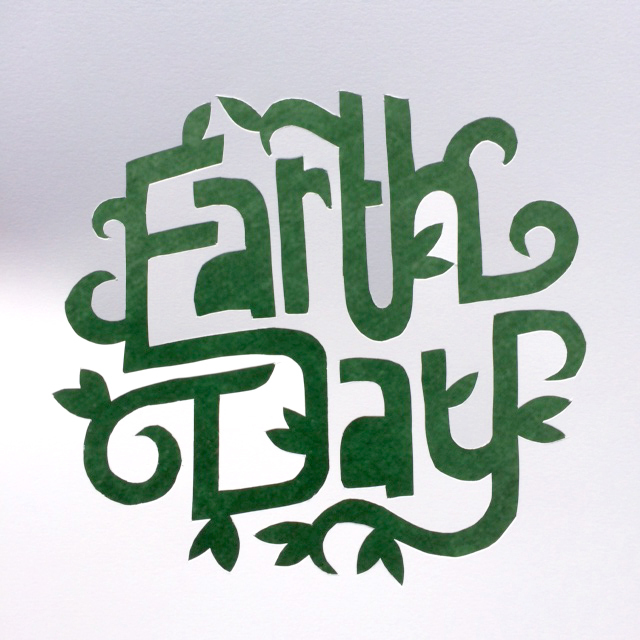 We wear the Earth Day logo as a symbol of hope to show the care we have inside of us for Mother Earth, the planet that bore us. The planet that we have to continue to protect and conserve for future generations to enjoy, and end the cycle of waste and excess that caused these major destructive habits so we can continue the path towards a healthier Earth. This was a project I took upon myself for the good of the Earth. I encourage anyone reading this to do what they can to help out the Earth in any way. 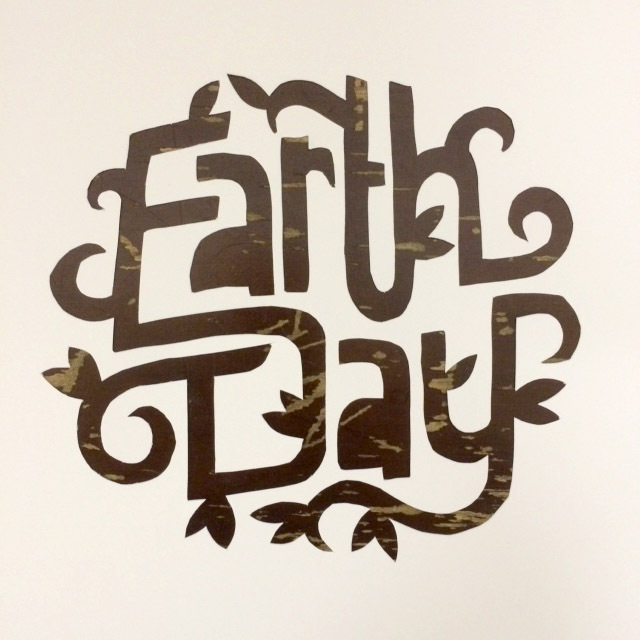 Carpool, ride your bike, plant a tree, use a reusable shopping bag, recycle your trash, do not litter, be a good human, treat Mother Earth with respect.